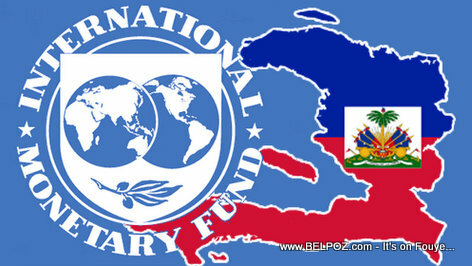 The International Monetary Fund (IMF) says Haiti's growth outlook remains positive: GDP growth has accelerated slightly to reach about 2 percent, supported by public investment. A mission of the International Monetary Fund (IMF), led by Mr. Chris Walker, visited the northern region of Haiti (Cap Haitien, Milot, Caracol, Ouanaminthe) and Port-au-Prince from June 3 to 15, 2018 to conduct the 2018 Article IV consultation and to hold discussions on the first review of Haiti under its Staff Monitored Program (SMP). "The medium-term outlook is generally positive, linked to Haiti's potential for more rapid growth following the envisaged implementation of structural reforms, but downside risks are significant. Economic activity is expected to accelerate in 2019 on the back of both public and private investment. A reduction of the public-sector deficit should allow the private sector to benefit from new financing opportunities. The reduction of the fiscal deficit should also limit monetary financing, which in turn should reduce inflationary pressures. However, the country's economy is subject to significant risks, including externally in the form of climate risks and those related to changes in global oil prices. "The performance of the authorities' program was satisfactory in the first quarter of 2018. The budget deficit was below 2.2 percent of GDP for the fiscal year to date, after adjusting for expenditures on recovery from Hurricane Matthew. All the structural benchmarks for end-March 2018 were met, one with a delay. All performance criteria were met, except for the floor of the fuel stabilization fund, which was missed due to higher-than-expected global oil prices. Solid economic policies implemented by the authorities under the SMP are expected to catalyze external resources provided by Haiti's technical and financial partners. "The IMF team and the Haitian authorities have agreed on fiscal policy measures for fiscal year 2018 to achieve the program's objectives. These measures should enable the state to create the fiscal space needed to improve social programs and increase public investment, particularly in health, education, and social services. These measures should also allow the authorities to contain the budget deficit at a sustainable level, thereby limiting the need for central bank financing of the central government. "We also agreed with the authorities specifically on the need to improve domestic resource mobilization in order to create fiscal space for priority expenditures. In this regard, the mission welcomes the government's intention to eliminate fuel price subsidies. The mission and the government also agreed on the importance of implementing key social measures to mitigate the impact of the subsidy reform on the most vulnerable segments of the population. "Staff congratulated the Haitian authorities for measures to reform the electricity sector and to contain fiscal losses linked to the operations of the public electricity utility (EDH). In addition to reducing the losses due to EDH's operations, the measures will help to ensure sustainable medium-term growth of the electricity sector and improve the environment for private investment. The team commended the authorities' progress towards greater transparency of the financial and public accounts sectors. "Together with the authorities, we agreed on the need to accelerate the pace of structural reforms that are essential for sustaining private sector-led growth, thereby boosting economic growth and reducing poverty more broadly. The mission encouraged the authorities to move forward with reforms aimed at streamlining taxation and strengthening tax administration. The mission and the authorities agreed that higher levels of both public and foreign direct investment would help Haiti to achieve higher growth over the long term. "The IMF team would like to thank the authorities for their warm hospitality and constructive dialogue during the mission." The IMF mission was hosted by Mr. Jude Salomon, Minister of Economy and Finance and Mr. Jean Baden Dubois, Governor of the Bank of the Republic of Haiti; in addition, it held discussions with other ministers, including the Minister of Planning and External Cooperation, the Minister of Labor and Social Affairs, and the Minister of Agriculture; and conducted meetings with members of Parliament, other senior public officials, and representatives of the private sector and civil society. Bravo! If all these informations are accurate, I congratulate the President Jovenel and his administration.